It is, quite frankly, appalling that pseudoscientific quackery like The Food Babe be given a soapbox from which to quack in any reputable publication. I cannot imagine a scenario in which it would be anything other than uncouth to have someone as thoroughly discredited as Vani Hari weigh in about a topic she knows fundamentally nothing about. At best, Ms. Hari’s ranting is ill-informed and uneducated. At worst, it is willfully ignorant, intentionally deceitful, and unethical. The title of the opinion column in which Hari is featured is titled “Room for Debate.” The existence of a dissenting opinion is not, in and of itself, grounds for giving it weight commensurate with that of the breadth of knowledge on the subject. Frequently, news outlets will allow “room for debate” regardless of whether such room exists. But that is the subject of another discussion entirely. Ms. Hari has been unequivocally ostracized from the scientific community, and for good reason; her opinions flagrantly defy the basic tenants of science first taught to us in middle school. As such, it is irresponsible journalism to give a voice to such opinions. There simply is not a place for her type of argument in educated debate. Should Ms. Hari step back into the realm of reality, and away from the tin-foil hat clad members of the Church of Our Lizard Overlords, we will gladly welcome her to discuss facts with us. Until such time, we will continue to regard her opinions with bemused frustration. Sense About Science recently posted a “public awareness” guide that hammers home a few of the points I made back when I wrote about chemicals in your food (PDF here). The long and short of it: chemistry doesn’t need to be scary. The chemical reality is that you cannot lead a chemical-free life, because everything is made of chemicals. […] There are no alternatives to chemicals, just choices about which chemicals to use and how they are made. The chemical reality is that whether a substance is manufactured by people, copied from nature, or extracted directly from nature, tells us nothing much at all about its properties. Give the article a read, and let’s put this whole all-natural obsession to rest for good. This one’s for all you foodies out there. The average American consumes somewhere around 2700 calories every day . To put that number in perspective, a human consumes enough food energy to power a 100 Watt light bulb. A family of four could power a desktop computer. Your body functions by taking the chemical energy stored in the bonds of saccharides, proteins, and lipids (fats) and converting it into mechanical energy through a process called metabolism. Micronutrients, such as vitamins and metal ions (iron, cobalt, sodium) are also introduced to the body through metabolic processes. But not only does the body get much needed nutrients through eating, harmful substances can also be introduced in this way. Toxic heavy metals can be introduced through contaminated ground water, or even fish. Carcinogens, such as polycyclic aromatic hydrocarbons and dicarbonyls, can be found in cooked meats and liquors, respectively . With that in mind, let’s examine some of the hazardous chemical compounds you didn’t know where in many of the foods you consume daily. What it does: (2E)-3-phenylprop-2-enal is a skin and respiratory irritant. In high enough doses, this compound is acutely toxic . What it does: In the blood stream, (9Z)-Octadec-9-enoic acid has been shown to induce severe respiratory failure and subsequent death by pulmonary edema in sheep . It has furthermore been associated with increased incidence of breast cancer . What it does: First and foremost, 1,3,7-Trimethyl-1H-purine-2,6(3H,7H)-dione is teratogenic and mutagenic . It is addictive and frequent consumption causes rapid physical dependence. Furthermore, it is acutely toxic at certain doses, causing death by cardiac arrest. What it does: In the laboratory, 8-Methyl-N-vanillyl-trans-6-nonenamide is classified as a hazardous material and requires the use of a respirator for safe handling. Contact with skin or eyes results in severe irritation and burning, accompanied by local swelling. Inhalation results in respiratory tract irritation. It is acutely toxic in sufficient doses, and may have neurotoxic effects . Up to this point, this entire article has been quite deceptive. Intentionally so. But I wrote it that way for a good reason, I promise. Time for a quick poll: how many of you Google’d any of the compounds I just listed? If you did, you would have found that I gave the systematic IUPAC names for quite common chemicals. (2E)-3-phenylprop-2-enal is more commonly referred to cinnamaldehyde, and is the chief favorant in cinnamon. Pure cinnamaldehyde, isolated from the essential oil of cinnamon tree bark, is a skin irritant; however, the cinnamaldehyde content in ground cinnamon is low enough for this to be a non-issue. Furthermore, while it is technically toxic, the amount you would need to eat for negative effects to occur is huge – about half a pound for a healthy adult. 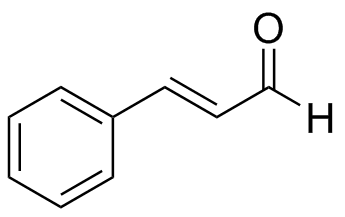 (9Z)-Octadec-9-enoic acid might be more recognizable as oleic acid, and makes up about 60% by mass of olive and canola oils. It’s a very common fatty acid, usually found as a triglyceride in animal fat and many seeds and nuts. Consumption of such monounsaturated fatty acids has been shown by trial after trial to have health benefits such as lower “bad” cholesterol. While one study did show a link between high consumption of these fats and breast cancer, others have shown quite the opposite . As for respiratory failure and pulmonary edema? The researches induced these conditions in sheep intentionally by injecting pure oleic acid directly into their bloodstream. So as long as you’re not shooting up olive oil, you should be alright there. 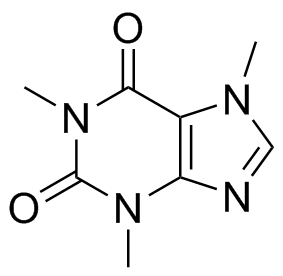 1,3,7-Trimethyl-1H-purine-2,6(3H,7H)-dione might wake you up every morning, you probably just call it caffeine. It is in fact mutagenic, hence why expectant mothers are instructed to avoid it. However, the study demonstrating these properties in rats used injections of caffeine equivalent to a human dose of 100 cups of coffee. This amount is incidentally very close to the median lethal dose in humans, which would of course be impossible to achieve by drinking coffee alone . 8-Methyl-N-vanillyl-trans-6-nonenamide is what gives your chili its kick, but you most likely know it as capsaicin. It’s in every chili pepper you cook with, from serranos to jalapenos to those absurd Indian ghost peppers. Of course it’s an irritant, ever rubbed your eyes after eating something spicy? The pure stuff, extracted and isolated from the peppers, is just much, much more potent. There seems to be some sort of pervasive fear of chemistry in society. To a degree, I understand it; the 1950’s, gung-ho blind devotion to “Better Living Through Chemistry” brought us thalidomide and agent orange. Carelessness brought us the tragic Bhopal incident in 1984. It seems as though in a number of ways, chemical research has changed from “this is useful” to “this is dangerous” in the mind of the public. I seldom go two days without seeing a link to some blog touting the horrors of synthetic food additives, GMO foods, or fluoride in the water. The repeated chanting of “synthetic is bad, natural is good” ignores the fact that chemistry itself is indifferent. I could just as easily have written this article from the opposite perspective: “All-Natural Drugs Found in Food.” Hydrogen cyanide in Yuca plants, coniine in the hemlock bush, and amanitin in Amanita mushrooms, all of which are natural but deadly. P.S. This post is a bit different from what I usually publish, so as always, I welcome feedback. Leave me a comment or shoot me an email (mtantalek@gmail.com). I’m also interested in hearing what you would like to read about in future posts.